Our Mission Depends on You!  Donate 100% - Add 3.5% so that 100% of the donation goes to The Arc San Francisco. Donate 96.5% - I understand 3.5% will be deducted to cover transaction costs.